I have multiple accounts, how do I move a Tech from one company to another? First you will need to deactivate the Device in the current company this Device was registered to. Deactivate a Device. 2. 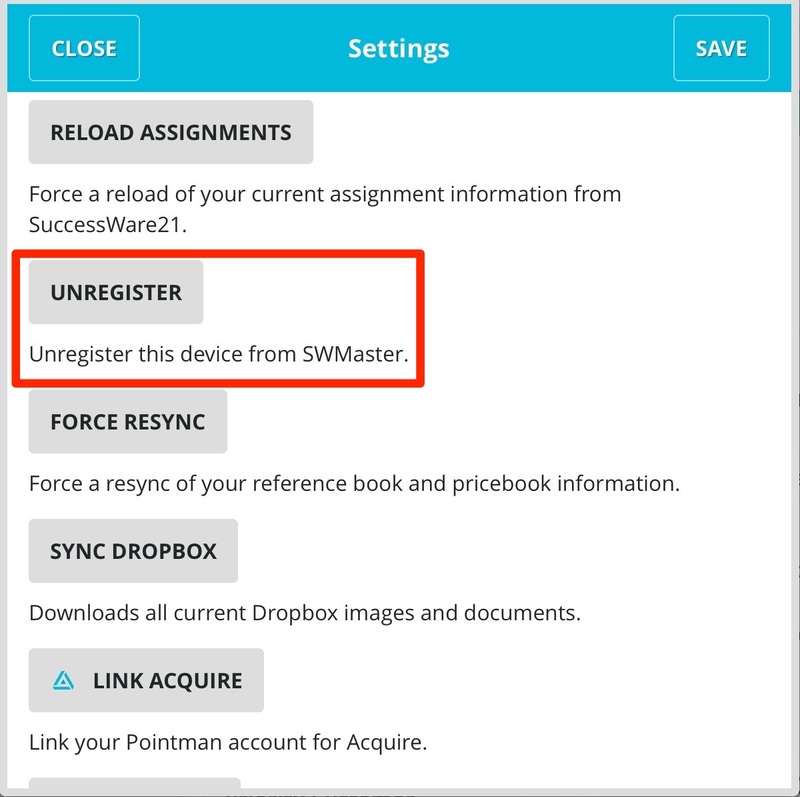 Next you will need to go into the Settings of SWRemote and press the Unregister button. 3. Now you will need to Register the Device to the Company you want to move the Tech over to. Click How to Register a Device . 4. When the Tech tries to login to this company, they will receive a message that states your Device is set to Inactive. Sign into your Admin site for the company you wish to move the Tech to and re-activate this Device. Click How to re-activate a Device.